I just finished the first draft of my next novel, The Rising Tide. It’s the sequel to The Stark Divide, the book just releasing now and is the first in the Liminal Sky series. 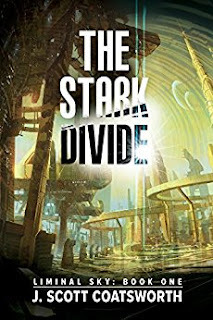 I started writing The Stark Divide in 2014 and completed it in 2016, just as the US elections came to a close and we found out who our new president would be. What a different world we live in now. 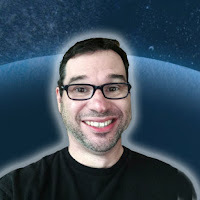 As a sci fi writer, I am tasked with writing both probable and improbable futures, some that are connected to the here and now, and some that are more distant or, in some cases, entirely divorced from Earth and our present day issues. The Liminal Sky series take place on a future Earth, starting a little more than a hundred years from now, and so the stories in it are strongly influenced and informed by the trends I see happening around me today. Climate change, human denial, and greed all play a role, as do the bending arcs of justice that our last President was so fond of talking about. The Stark Divide, while doubtful about the ultimate future of the Earth, had a fairly hopeful tone for humankind as a species. But as I started writing The Rising Tide, I found that some of my optimism had flagged, and the result is a more complex, sometimes darker story. We live in a world that is changing so rapidly that the future I saw just three years ago now seems much less likely. This sci fi writer has changing future whiplash. On the plus side, I have the chance with each new book to address the future I see at that moment in time. Sometimes it’s hopeful, and sometimes it’s a little more dark and twisty. If I’m any good at this job, I’ll figure out a way to make it all work together, and create a series that has lasting relevance for many possible futures. Only time will tell if it all works out, for the series and for the Earth and humanity as a whole. Guess I’ll just have to wait and see what tomorrow’s future will bring. J. Scott Coatsworth spends his time between the here and now and the what could be. Ushered into fantasy and sci-fi at the tender age of nine by his mother, he devoured her library of Asimovs, Clarkes, and McCaffreys. But as he grew up, he wondered where the gay people were in speculative fiction. He decided it was time to create the kinds of stories he couldn’t find at Waldenbooks. If there weren’t queer characters in his favorite genres, he would write them himself. His friends say Scott’s brain works a little differently—he sees relationships between things that others miss, and often gets more done in a day than most folks manage in a week. He transforms traditional sci-fi, fantasy, and contemporary worlds into something unexpected. He also runs Queer Sci Fi and QueeRomance Ink with his husband Mark, sites that bring LGBTIQA communities together to celebrate fiction that reflects queer life and love.